"If nothing else, this whole incident was a good reminder for me that these football players should not be role models, especially not for our kids. We shouldn't hold them to a higher standard, because if we continue to do so: THEY WILL FAIL US. " I read this article on Saturday. It included the above quote written by SBNation's writer CC Norseman. I have to say I agree with his opinion. I never quite put much thought into NFL players being heroes but you know what, to a lot of kids and some adults, they are. His experience was with his team The Minnesota Vikings. 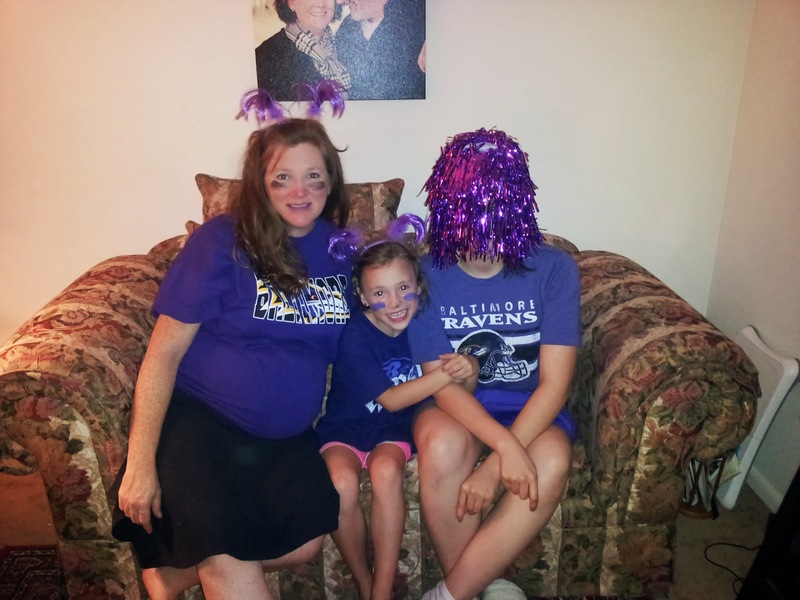 Our experience is with our team The Baltimore Ravens. How do we grapple with the human aspect of every NFL player, NBA player, movie star and rock star and not turn them into a hero? How are we to remember that they are just that: human; when they have a tendency to do superhuman things? How do we teach our kids to not have heroes? It is not a secret that I love football. I mean really really love this sport. I grew up watching football as a family. It means family time to me. We sit around the TV, we eat great snacks, we laugh, we yell at the TV, we cheer for our team. We are connected. We are all on the same page for 4 hours two times a week. It has brought us together. Ray Rice broke our hearts. We fell into the illusion that what his brand and team issued as spot lights, highlights, and media frenzied charity events, is who Ray Rice is. I believe it is a part of him but I also believe that the Ray Rice in the video is who he is as well. Just like the writer from the above article suggested, his brand was who the team wanted us to fall in love with and we did. Until we saw the first video. I didn't need to see a second video to know that he had some serious issues. I didn't need to see the second video to know that we forgot that off the field Ray was a man. My girls and I are conflicted. How do we support someone that treats a woman--someones daughter, sister, aunt, friend--with such disregard? He went from a Hero to a subhuman in the blink of an eye. In our minds he doesn't get a second chance. I have three daughters that will someday be someones girlfriend, fiance and wife. I have a son that will be stronger than his future spouse and children. I owe it to them to make sure they don't end up with a Ray Rice in their life or feel that it is okay to abuse women. How do I do this? We watched Ray Rice win the Super Bowl. We donated to his charities. We elevated him and his presence because of all that he did on and off the field. His actions on the field created an imaginary bond with a character that he and the team created. It is now up to me to remind my daughters that these "NFL Heroes" are nothing more than guys--boys and men with varying personalities, upbringings, and values. Men who have been given an incredible opportunity to work in an industry that pays well, affords them a lifestyle of luxury but does not protect them from being human with all of the weaknesses and strengths of life included. 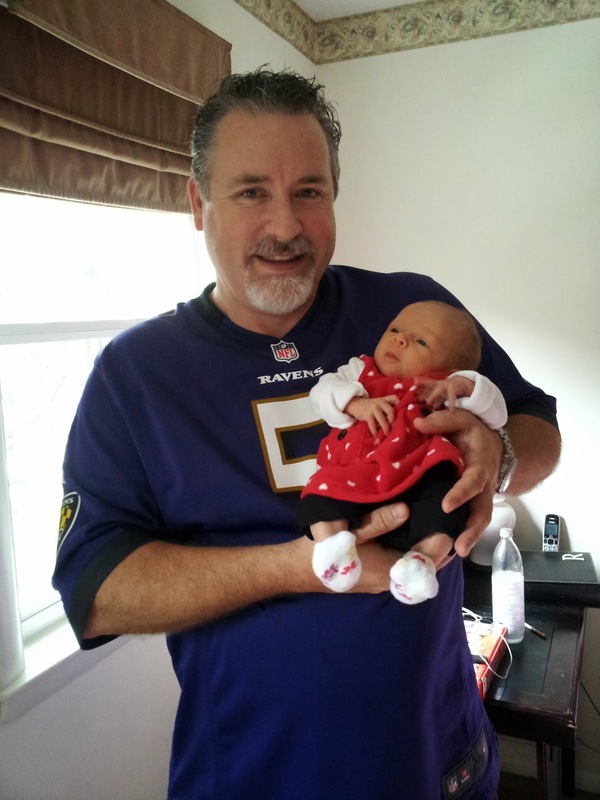 I had a chance to buy a Ray Rice jersey for Isabella a few weeks ago before the second video was made available through TMZ. I never thought for one minute of buying that shirt. NEVER. I looked at it and only saw the sadness and pain that he has inflicted upon so many people in his inner circle. Pain, that I believe could have been prevented. How I proceed from here out with our favorite team will be a bit different. 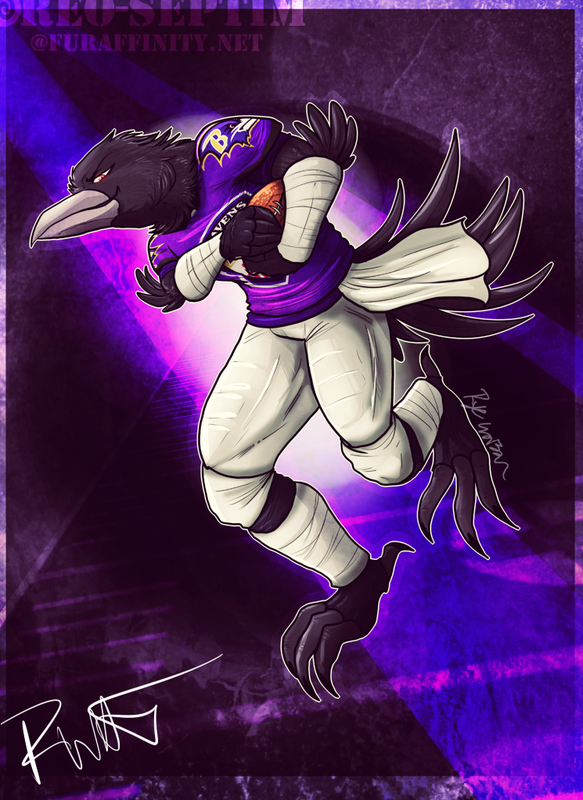 I will still root for The Baltimore Ravens. I believe that mistakes were made within the NFL franchise and NFL commissioner's office. I am trying to work this out in my mind. I don't want to hold a team or a sport accountable for the actions of a few. I do believe that there are good men and woman involved in the organization. I hope that this terrible incident will bring awareness and education to our society. My final question is this: Can a player go onto the field and play with an intensity to roughness, tackling his opponent and aggressively defending the ball and then go home and not be changed? I don't know the answer to most of my questions in this post. I want to believe that as humans we are all seeking to do the right thing to ourselves and to those that we deem family and friends. I don't want to see that our world is filled with real people and not heroes. We all need someone to look up to. I commented to Cory the other day, and not in regards to this situation but another, that I wonder if we are each equipped with a Dr. Jekyll and Mr. Hyde buried and waiting to rise. I know that I have good days and bad days. I can smile to some and cry to others. I am human and yet the world sees me and labels me with what they want me to be or how they see me. I have labeled people throughout my life with a variety of titles. Some of them as heroes. I believe this is how our society copes. We seek out heroes that allow us to dream and reflect for a brief moment in our busy lives that all is well and right. We want, and maybe need, to escape. I am responsible for teaching my children several things after this experience because I don't want them to think that because Ray Rice was a football player, made lots of money and was seen on TV, that his actions are worthy or okay. I need to ensure that they have a perspective of the game and that in the end, this is all it is--a game to entertain. Nothing more. The people on the field are talented, have worked hard but when they walk off the field or stage they are humans with moods, personalities and issues just like everyday people: our neighbors, family and friends. I want to teach my kids that the title of Hero should not be attached to any football player or movie star. They should save that title for those men and women that are serving our country, and in our communities, to save lives each day and who are risking everything for our freedom. I hope they know how valued they are. I want them to be strong enough to walk away from all abusive relationships. I hope and pray they seek after relationships that are healthy, loving, real and based on a higher standard than what the media would deem fashionable, noteworthy or of substance. I want my kids to respect and love themselves and their future spouses and children. I hope that we have taught them that hitting, name calling, head games and manipulation are never okay in any relationship. Finally, I know that there will be times when people will let them down and cause them to doubt the human race. They will see and hear things that are beyond anyones understanding. They will question and ask why. I desire that with all of the sadness in the world that they are able to see the beauty and the good that is still present each and every day. Just because some people let us down sometimes, that is no reason to doubt the entire human rice. It is reason not to trust in the future those people who let you down. We all are born with the capacity to be good and the capacity to be bad. As the mother of 4 grown daughters and 3 granddaughters and 5 grandsons, I tell them that our biggest struggles in life are with outselves....controlling our own feelings and learning restraint on our actions. This applies to spending money frivolously, saying hurtful things to other people. I have told them that if they follow the 10 commandments, there is a 99.9% chance that they will grow up to be good, fine people. Thank you Tammy for your comment. I have been on vacation and so I was slow responding. I agree with your thoughts about ourselves being our biggest struggle. I have seen that first hand in my own life. Thank you for your perspective. Have a great weekend.